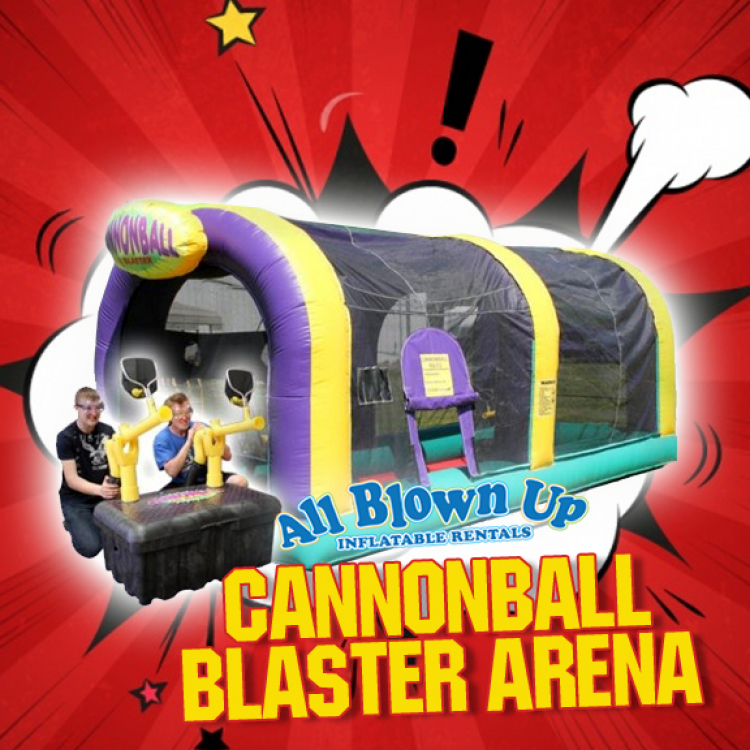 The Cannonball Blaster Arena is the most exciting inflatable around! Participants shoot target nets, or each other, with soft, foam balls. 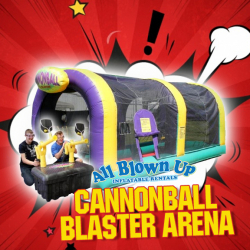 The bottom line is that this game is extremely safe and loads of fun!